Geeks love to gather stuff that showcases their affiliation towards their favorite franchises. Star Wars series will have millions of such fans who would love to own the newly announced Sphero R2-Q5, the R2D2 droid that has joined the dark side. The R2-Q5 is the Astromech Droid of the Empire which is capable of making a lot of sounds just like in the movies, has on board sensors to detect a person nearby and Bluetooth connectivity allows users to make it perform actions by using a smartphone. 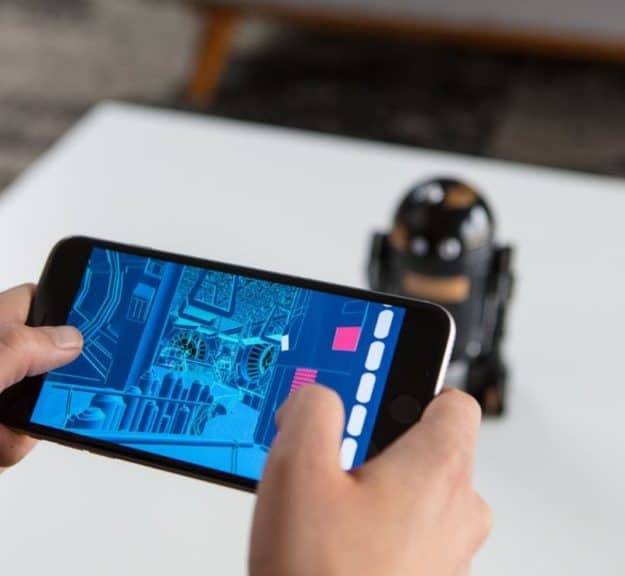 The Sphero toy which will soon be available for purchase at the New York Comic Con works with both iOS and Android devices. It costs $200 and joins the list of droid toys from the company including the R2D2, BB-9E and BB-8. Sphero says the R2-Q5 is the perfect companion to watch all Star Wars movies back to back. They will also be sold through Best Buy in US and John Lewis for those who live in the UK.